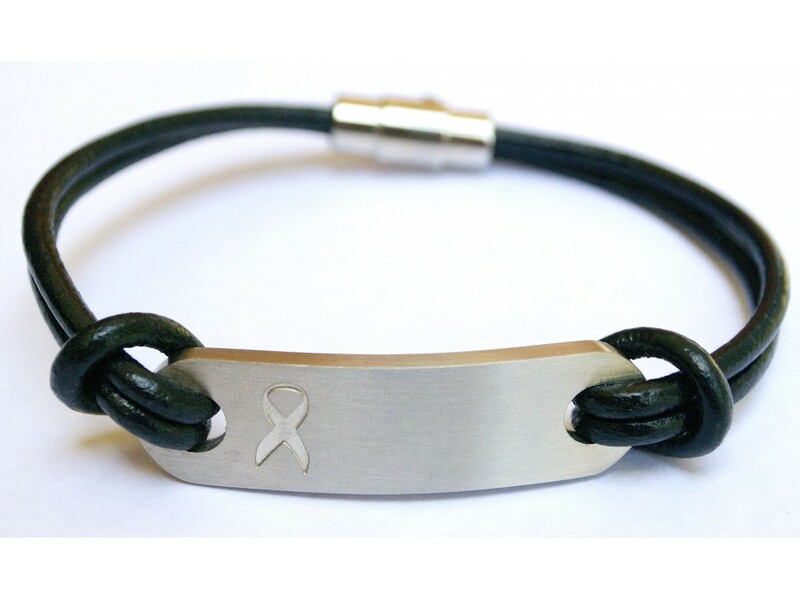 The classic design of this bracelet has a look that will last until there's a cure. Stainless steel adorned with an engraved ribbon. Leather band with magnetic locking clasp. Available in Natural or Graphite tone (not shown). Fits up to an 8 in. wrist.